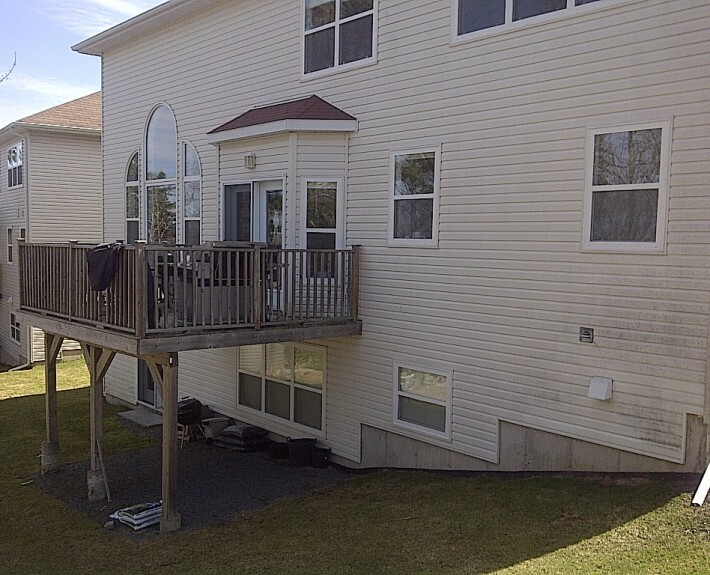 This homeowner was fed up with their dysfunctional and small builder deck that came with their house. They wanted their deck to match their beautiful home and not be plain and boring deck they had. We were able to give them the look they wanted and the room they needed while providing them low maintenance material. 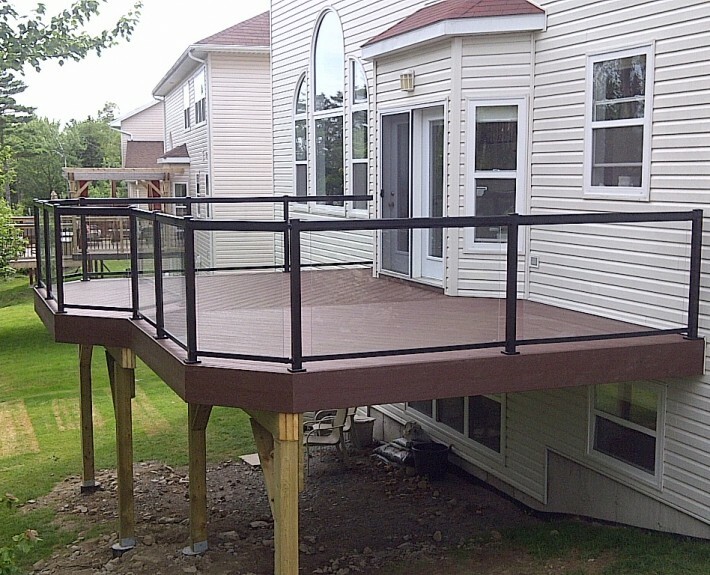 This deck includes composite decking and a black aluminum railing system complete with tempered glass panels.